I visited a very interesting exhibition last month. It was a collective project created by TASKO inc. (Japan) in collaboration with Invisible Designer Lab, Yamamoto Seisakusho Co. Ltd, and also the perfumer Yoshitake Toshifume. The exhibit was a perfumery organ, which was inspired by the “Gamut of Odors”, a description method for fragrances devised by the British chemist and perfumer George William Septimus PIESSE in the 19th century. This was the first instrument in the world which played odours and music together. The classic method of blending perfume is based on the theory of Top, Middle and Base notes. This method was devised by PIESSE, and was based on an analogy with the musical scale. He claimed that scents, like sounds, appeared to influence the olfactory nerves and positioned the odours in correspondence with musical notes according to the scent’s effect on his olfactory sense. Choosing the odours that chord together and your perfume will be harmonious and will steer away from discord. Above chart came from the book tilted: The Magical and Ritual Use of Perfumes by Richard Alan Miller and Iona Miller published in 1990. Top notes in such a chord are sharp and penetrating and usually very volatile (i.e. they evaporate very quickly). When you smell a commercial perfume, or an essential oil blend, the top note is what you will notice first. Some typical top notes are Bergamot, Lemon, Thyme and Rosemary. Middle notes tend to be softer and mellower in character and less volatile than top notes and account for the overall character of a perfume or blend. They are usually used in larger proportion than either the top notes or the base notes, and may account for between 50% – 80% of the blend. Some typical middle notes are the Chamomiles, Lavender and Marjoram Sweet. Base notes are the deep, often exotic aromas such as Sandalwood, Myrrh, Frankincense which are very slow to evaporate. They are very long lasting on the skin and acts as fixatives for top and middle notes: that means by combining with the more volatile oils they slow down their rate of evaporation and make them last longer. One of the problems with this theory is that the experts cannot agree with each other as to what constitutes a top, middle or base note. In my professional practice when I formulate an individual therapeutic blend, while I take into consideration of top / middle / base notes I will choose a fragrance that corresponds to the physical, emotional and mental state of the client. One way to heal our mind, body and spirit holistically is through the study of our birth chart, identify the planetary strengths and weaknesses as God gifted us when we were born, and apply the corresponding essential oils to achieve an equilibrium state. How to do this? Let’s talk about this over a cuppa (which comes with a proper astrological consultation). By the way I have been in love with this brand of essential oils. Their oils do not contain artificial ingredients that would dilute their active qualities and are free of chemical residues. One reason is they work closely with growers to select botanicals of the correct species that are grown in ideal environments and carefully harvested at the right time (planetary hours). Am totally in love with them. You can find more information here, or talk to me. Be well and until next time. This entry was posted in Aromatherapy, astrology and tagged dōTERRA, perfume, PIESSE, planets on November 4, 2017 by The Magician. Last year when I travelled to India my friend’s wife bought me a bottle of infused attar that I loved so much and used it till the last drop. Contained inside was so much love of course, and also the essential oil of Champaka (Michelia champaca). Since then I was entranced by her scent. My little secret – I always carry a bottle of Champaka EO inside my bag. It is undiluted hence very powerful and strong. Whenever I feel not myself, upset and the like, I will apply one drop neat which is enough for the wrists, temples, 3rd eye and heart chakra. As an aromatherapist I do not advise neat application of any essential oils onto our skin, except a limited few and on special circumstances. I use Champaka 1 drop neat for energy raising, and also as a stimulating perfume. Another secret. All my aromatherapy products have a hint of Champaka. 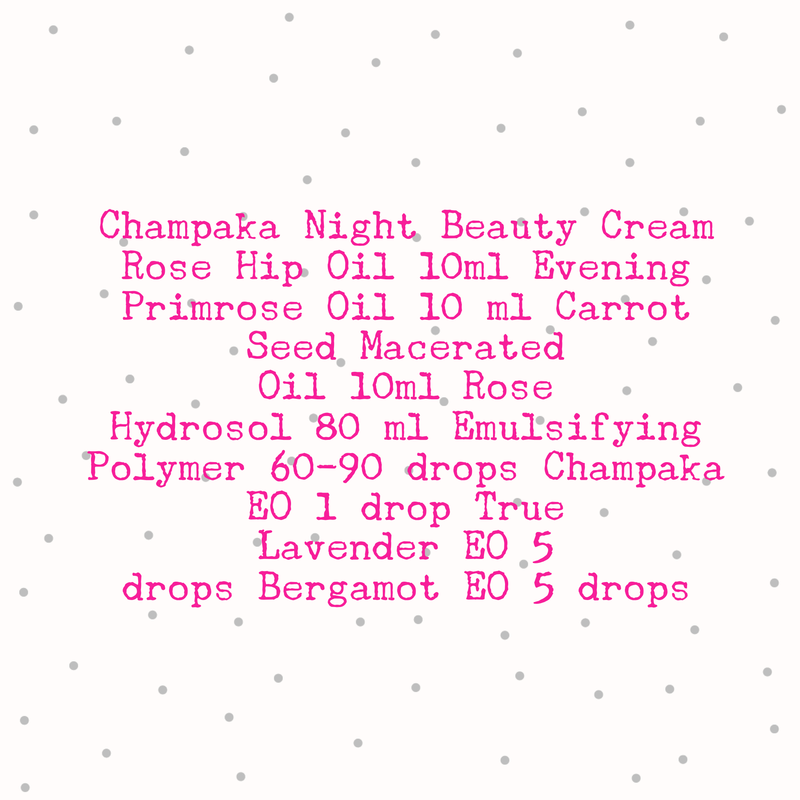 I put 1 drop of Champaka to 100 ml of my carrier oil as a product base. When I use the carrier oil to make beauty products, ointments or for therapeutic massage, there is always a very subtle scent of Champaka. This is my signature scent. Unless you live in India, good Champaka oil is hard to find. It is not inexpensive but a 5 ml bottle can last for a very long time use. If you are living in Hong Kong you can find excellent grade Champaka here. Champaka is of the same plant family as Magnolia, the botanical name is Magnoliaceae. The scent is intense floral, it is a middle-to-light yellow-reddish oil. Good qualities one come from steam distillation of blooms. The main growing areas are India and part of Southern Asia. Champaka is aphrodisiac, anti-diabetic, anti-microbial, wound healing, calming and febrifuge. The sweet floral fragrance has calming effect to the nerves, at the same time able to restore our energy and increase our confidence. Ruled by the Sun and Venus, it is valuable remedy for depression, anxiety, stress and grief-related disorders. If someone has sexual difficulties, particularly frigidity and impotence, massage it (after proper dilution of 2%) onto lower abdomen, sacral and base chakras. Or put a few diluted drops and run a bath. It is good for all skin types and particularly good for mature, dry and sensitive skin. Champaka is regenerative in nature and can help heal wounds, scars and stretch marks. I use it for meditation and otherwise as a parfum. You can also blend Champaka in your face moisturiser. I have been gifting them to friends lately and they all love it. Here is a formula for a 100ml bottle. You will be making a little extra and with that amount you can split them into 3 smaller jars if you wish. Enjoy! 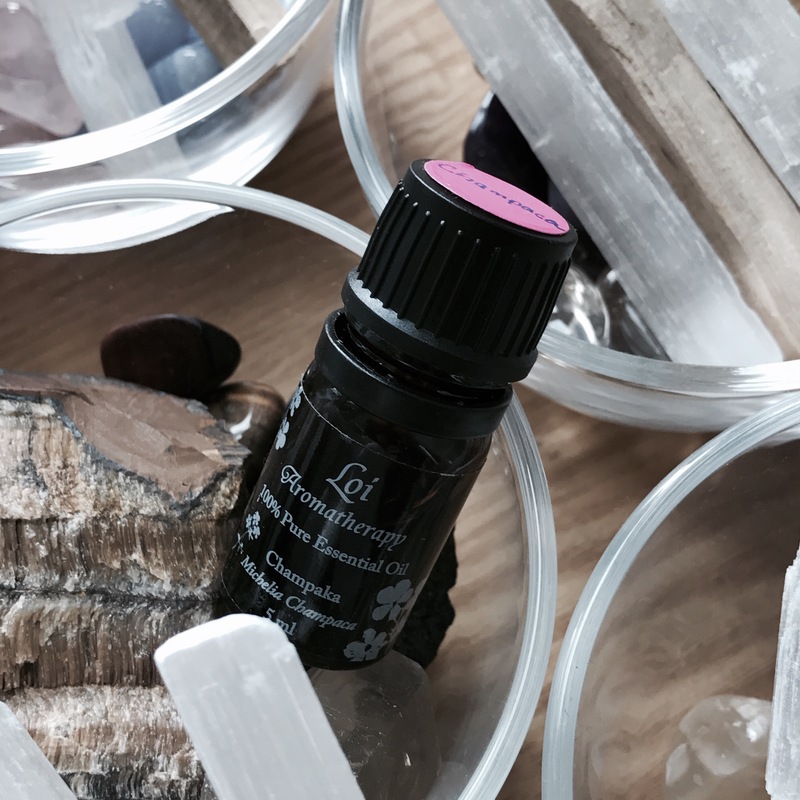 This entry was posted in Aromatherapy and tagged beauty, chakras, champaka, energy, sun, venus on July 1, 2017 by The Magician.